Baldness is a universal problem faced by men and women at a certain age. However, where age is natural reason of losing tresses, many unnatural instigators can play significant roles to your per-matured baldness. It can be a health issue, stress, imbalanced hormone, nutrition deficiency or even over styling instigate follicles to shade hairs before time. Anyway, it’s heredity that is behind maximum balding cases. 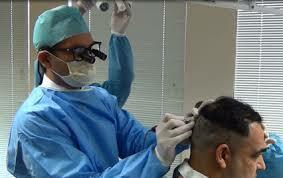 As per doctors genetics causes pattern baldness that’s can be treated by surgical treatment only. How do you know if you are facing pattern baldness?